The NBA South West have today announced they will be hosting an autumn farm walk at Patrick and Sheila Greed’s 700 acre, Columbjohn Farm, Exeter to view their award winning Killerton herd of Limousin cattle. 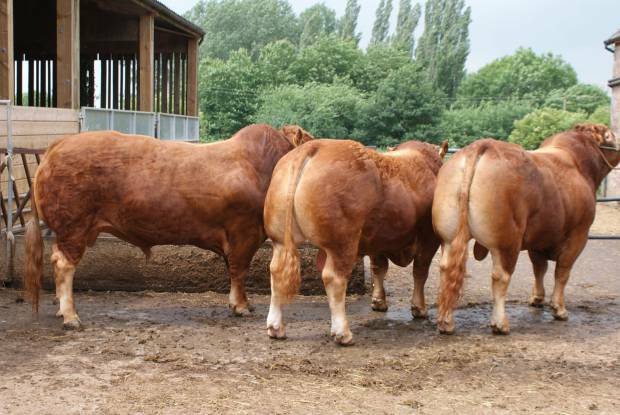 The farm walk, which will be held on the Wednesday 10th of October, will give farmers the chance to view this exceptional example of a commercially run pedigree herd of cattle. Patrick prides himself on producing modern well fleshed bulls that are suitable for both commercial and pedigree breeders which will go on to produce progeny that the retail market desires. He aims to breed cattle with good growth, muscling and meat yield. This commercial focus can be seen in his finished progeny, of which over 80% grade out at either E or U. As well as concentrating on carcass traits Patrick puts a strong focus on calving ease, mobility and temperament as he breeds his own replacements. The pedigree proportion of the 160 strong suckler herd has increased over the years through the retention of homebred heifers and now makes up over 80% of the herd. The genetic improvement of the herd has been enhanced through the use of A.I. as well as a strict replacement policy only retaining heifers which show favourable performance and characteristics. Heifers and bulls that are not sold for breeding or kept for replacements are finished in a semi-intensive ad-lib system with bulls kept entire. All finished stock is then sold deadweight. The farm walk will begin at 11am with a welcome from Patrick followed by a tour of the farm and short talks including a discussion on maximising cattle health at housing presented by event sponsor Boehringer Ingelheim. With winter housing on the horizon, the talk will touch on prevention methods such as building adaptations to help maintain health during the housed period and minimise production losses. The event will finish with a late lunch provided by local sponsor and feed supplier of the Greeds, Crediton Milling. The farm walk is scheduled ahead of the NBA Agrifest SW event run by the NBA South West held on November 7th at Westpoint Exeter which will showcase Quailty Beef and Lamb production from field to fork. NBA Agrifest have a stand at the event and are offering two free tickets to the event for those who sign up to the NBA at the farm walk. To book your FREE place at this exceptional farm walk, simply ring the NBA head office on 01434 601005 or email [email protected].